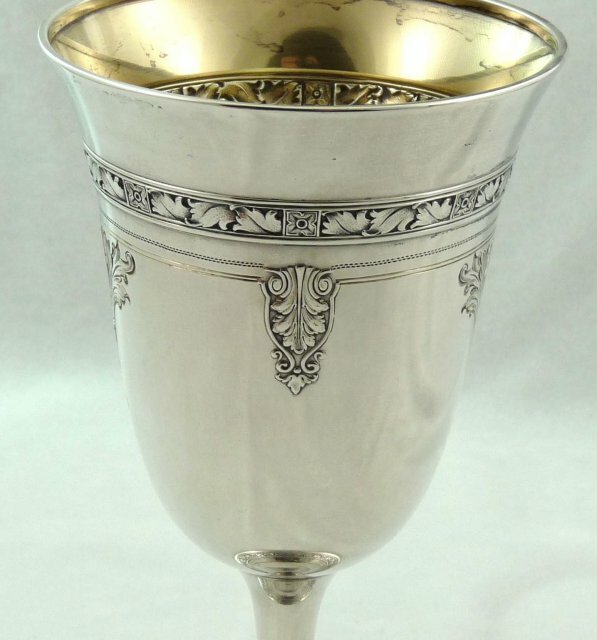 A magnificent Sterling Silver Gold Lined goblet made by Gorham in the Cinderella pattern. 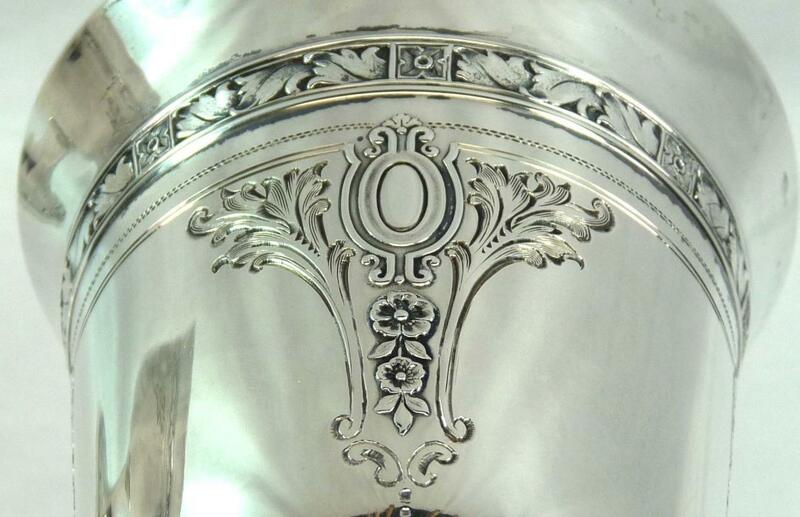 These exceptional and rare Sterling Silver goblets are of the finest quality. 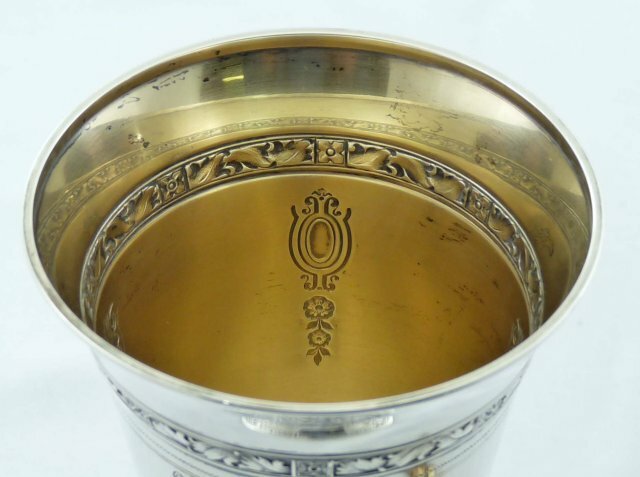 Goblets measure approximately 6 5/8" tall and 3 3/8" diameter at the top. 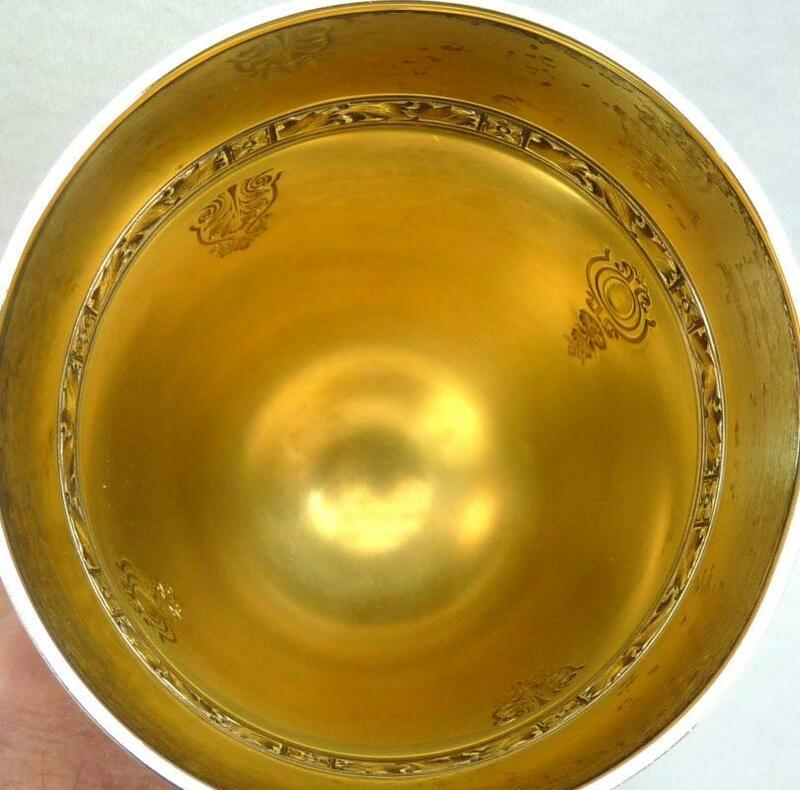 They weigh about 4.6 troy ounces each. 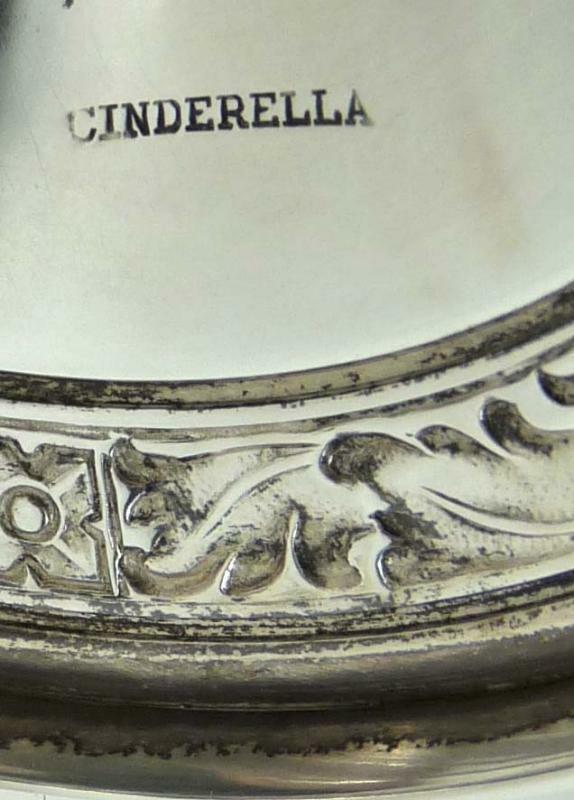 They are not monogrammed. 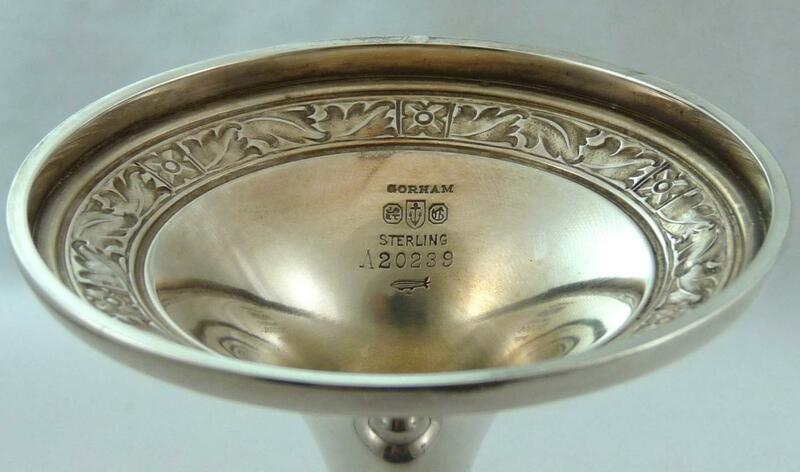 The bottoms are marked Gorham and with the Lion Anchor G hallmark, Sterling A20239 and the date mark, which dates them to 1929. 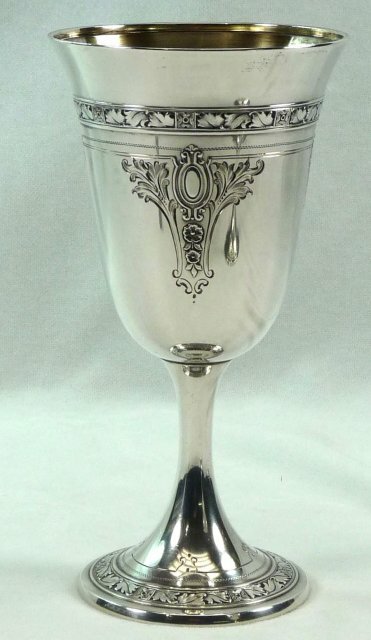 These beautiful and elegant goblets would make a very special gift. 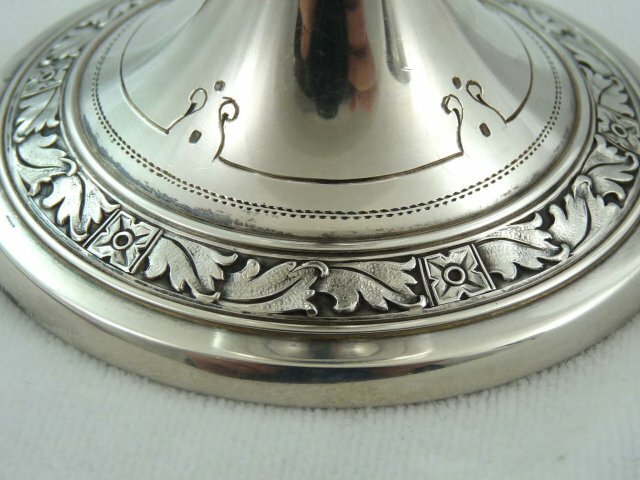 Items Similar To "GORHAM Sterling CINDERELLA Gold Lined Goblet"